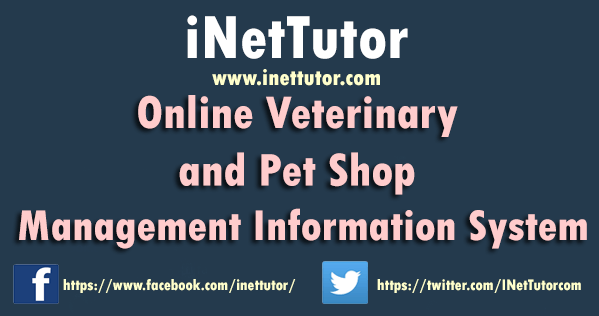 Veterinary and Pet Shop Management Information System is an online platform that will automate every transactions including the appointment scheduling, laboratory test, clients and pet information and many more. PHP and MySQL will be used in the Backend development while the developers will use the Bootstrap Framework for the user interface of the application. The current setup is being done manually; records management, appointment scheduling and other transactions are based on pen, paper and folder methods, in line with those problems, efficiency of outputs are also affected. With the citation of the problems encountered in the manual setup of business, the researchers and developers decided to create an information system that will replace the manual method of records management. To establish and develop an online platform that will allow the customers to set an appointment with the veterinary. To provide an information system that will help pet owners to know the basics on how to take good care of their pets. To provide an efficient way of storing, archiving and updating of records. Invoice Creation and Payment – the module that will generate invoice for the customers and to record the payment as well. Product Management – the module that will allow the user to encode the products and accessories that is available in the store and can be accessed by the customers in the catalog section of the web application. Report Generation – the module that will print-out the records such as the list of clients and pets, reports on income and many more. Pet Shop Management – automation will be very important in this kind of business; it will also broaden or widen their client-base and it will result in an efficient and productive work. Customers – customer can now keep in touch with their veterinary and be updated on the different ways to take good care of their pets. Researchers and Developers – this will serve as a challenge to the developers in order to enhance their skills in systems planning and development. Future Researchers – this will be a guide to the future researchers and developers who want to conducts a similar study like this one. 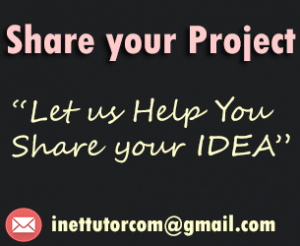 Future researchers are free to upgrade and add more functionality to this project.